The second thing is the cinnamon. I was free handing it, and I forgot this cinnamon shaker gets crazy sometimes, so I ended up with more like a 1 – 1.5 tsp. instead of the 1/4 tsp. called for in the recipe. 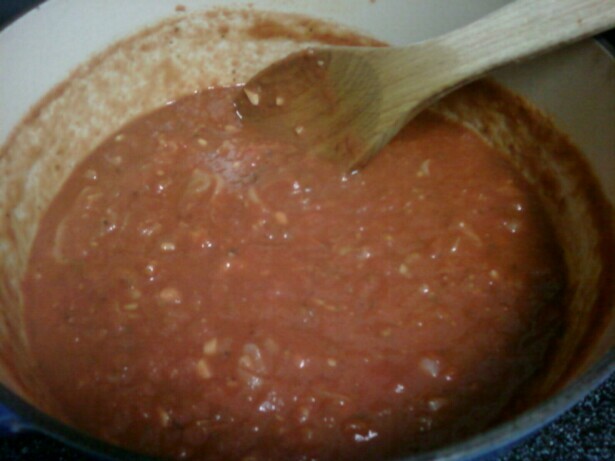 You could definitely smell it as the sauce was simmering, but it ended being really good and not overpowering at all. Of course I like cinnamon in savory dishes, so it was a happy accident for me. 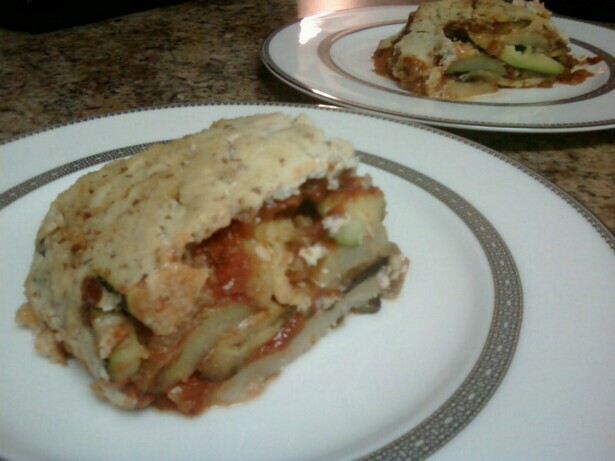 Third, I don’t know if I made 1/4″ slices or not. I was pretty confident that I was until I was assembling, and then I wasn’t so sure. Maybe they could have been thinner? It all worked out. 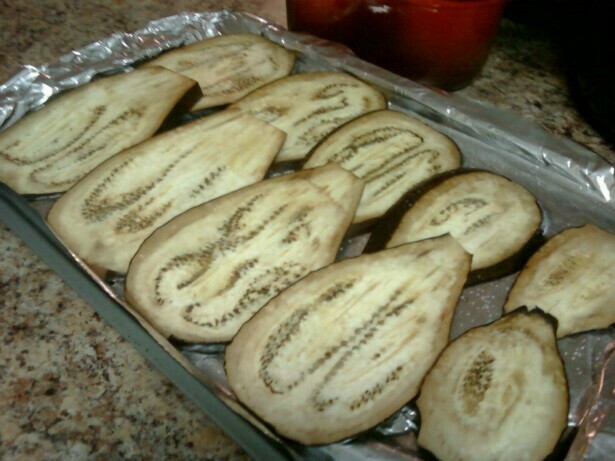 Also, I weighed out the pound of eggplant and zucchini at the store, but I bought a big bag of potatoes. So I just kinda approximated the amount based on what the first two sliced up like. I ended up using 4 medium potatoes. Last, I cut the oil down a bit. After misting the pot that I made the sauce in, I just used some of the veggie broth to splash in when the shallots got dry. And on to the pix! 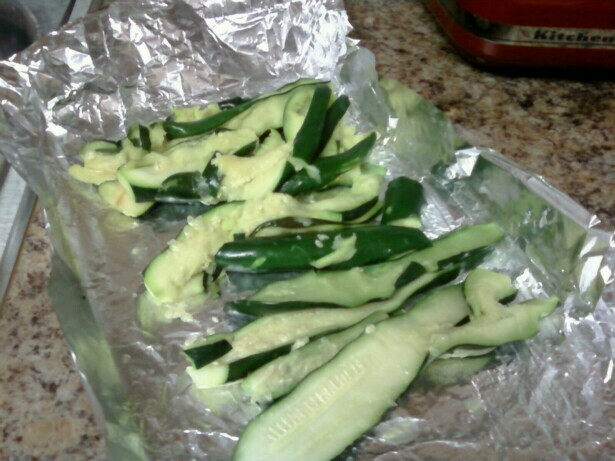 First I sliced up all the veggies and got them roasting. 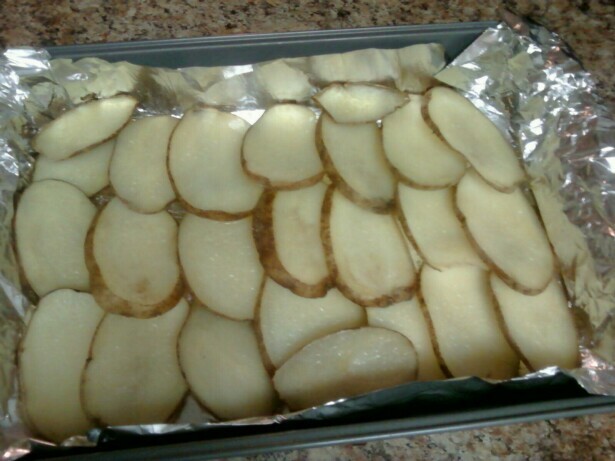 The potatoes roast a little longer than the other two. 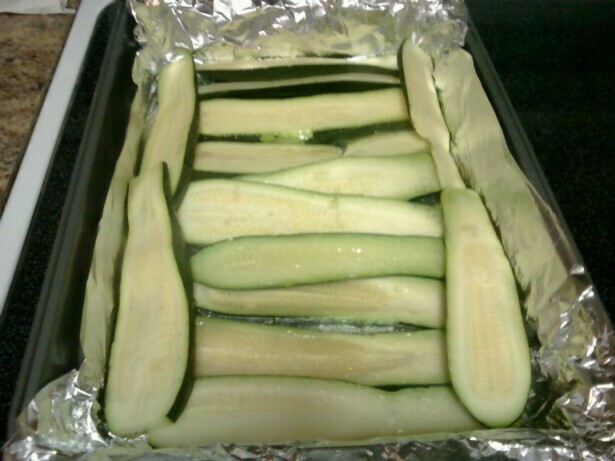 As soon as the zucchini cool, squeeze out all the extra water. 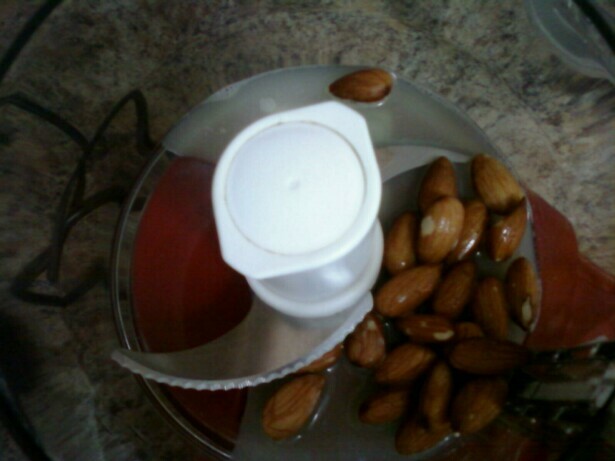 Almonds and lemon juice for the cream sauce. 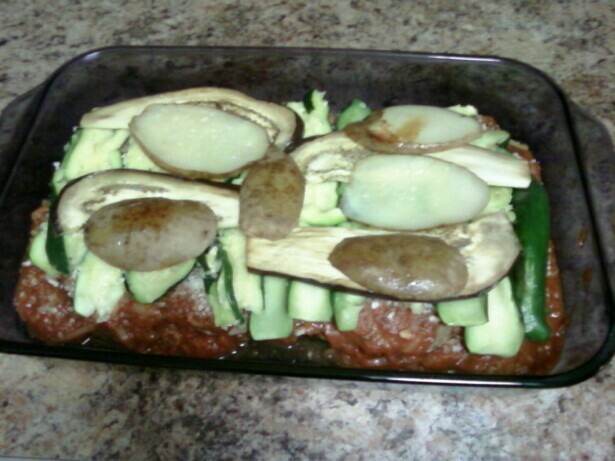 Two layers of eggplant, potatoes and sauce and then half the bread crumbs & the zucchini. 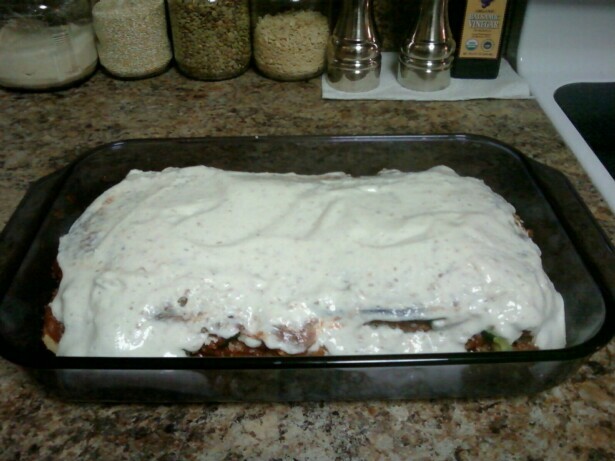 Last layer topped with sauce and bread crumbs. Looking good and smelling amazing. This was really good. 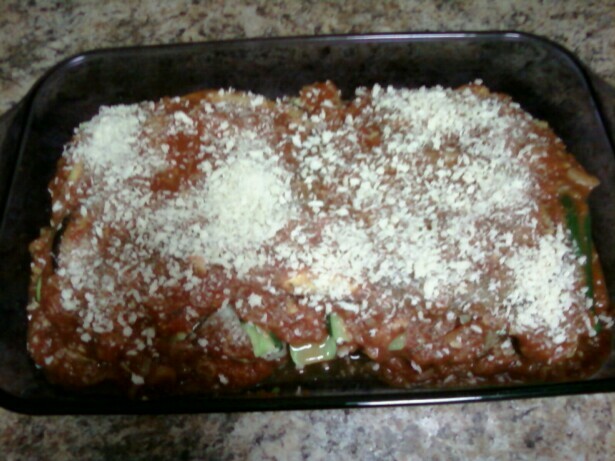 Like a wonderful vegetable lasagna, without noodles. I had never made or even heard of mousakka before, and apparently it’s a Greek dish that’s traditionally made with lamb, tomatoes, eggplant and topped with a cheese sauce. I even dismantled a piece of the leftovers and used it to make an AMAZING pizza a couple of days later. The only thing I would change would be the lemon, but that’s just my personal preference. 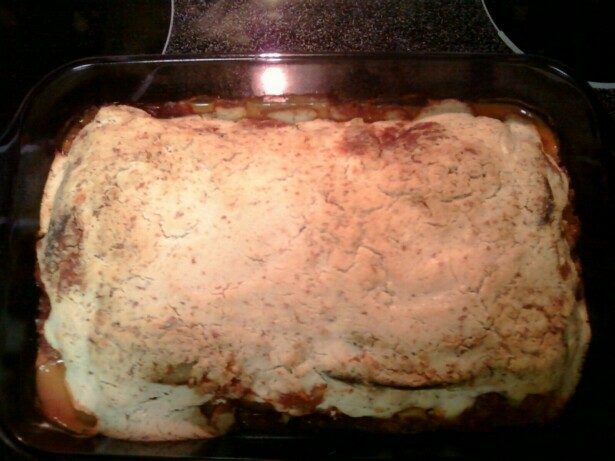 It was yummy and made a lot! 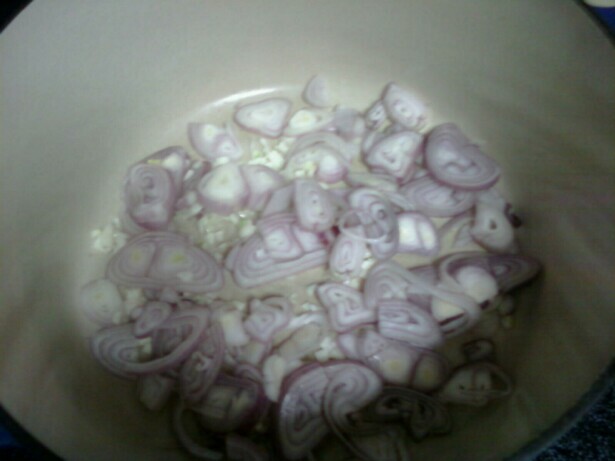 soaking helps to make it a bit more creamy. This looks really delicious. I have yet to make a nut-based cream sauce… I really need to get on that!